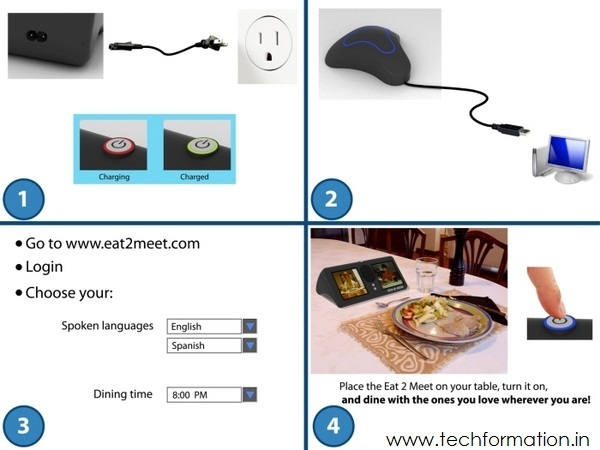 Eat2Meet is an unique way of communication between two people. 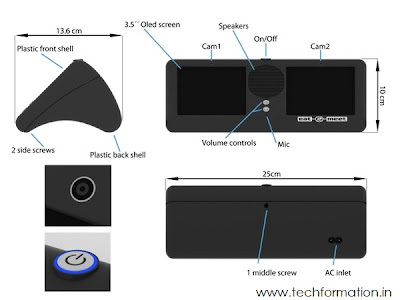 It is a video conferencing device where two people possessing this device can communicate through this. But you should use this only at dinner time while eating. This can bring the feel of having dinner with your beloved ones together though they are miles apart. To use this device, you must register and login to their webpage (say www.eat2meet.me) and choose your language and location preferences. Later you should connect the device to computer via USB and make it charged. Then you can turn ON the device and start conferencing. Meanwhile the system locates your other friends who are having dinner at the same time and connects them to you. You can have multiple connections running at same time and you can switch to your favourites. 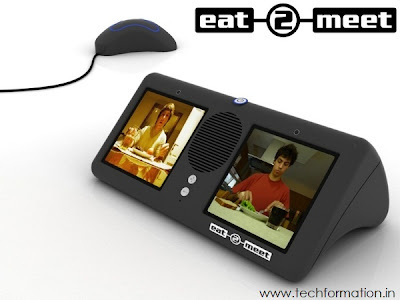 has so developed that we can not only do conferencing while eating but also we can do Video Conferencing any time any where i.e while traveling in car, at home, office etc..